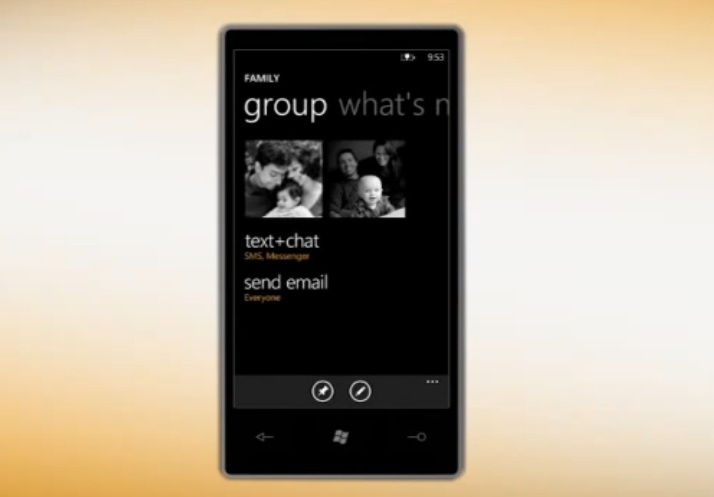 Video: Groups in people hub on Windows Phone. Here’s a feature I’m really looking forward to in Windows Phone – Groups. This goes beyond simply having contacts in a group that you can send mass text/emails. Within these groups you can see their latest status updates and photos from social networks such as Facebook, Twitter and LinkedIn (as well as hotmail and gmail contacts). Signing into any of the mentioned accounts pulls in all the details for each contact. Same contacts over different networks are merged into one contact card. These groups can then be pinned to your homescreen as a tile, which will show updates/messages/missed calls. As noted, if you are not a user of social networks or don’t want them to appear in your contact list, either 1) don’t sign in at all 2) filter them NOT to appear. « Video: Batch 2 – Nokia Egypt Dual Sim ads.